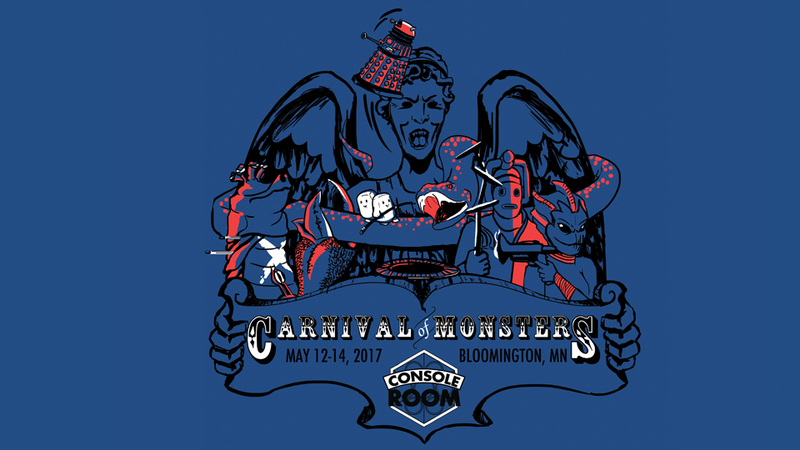 The fourth year of CONsole Room, THE Twin Cities’ Doctor Who Convention, brought some carnival fun. 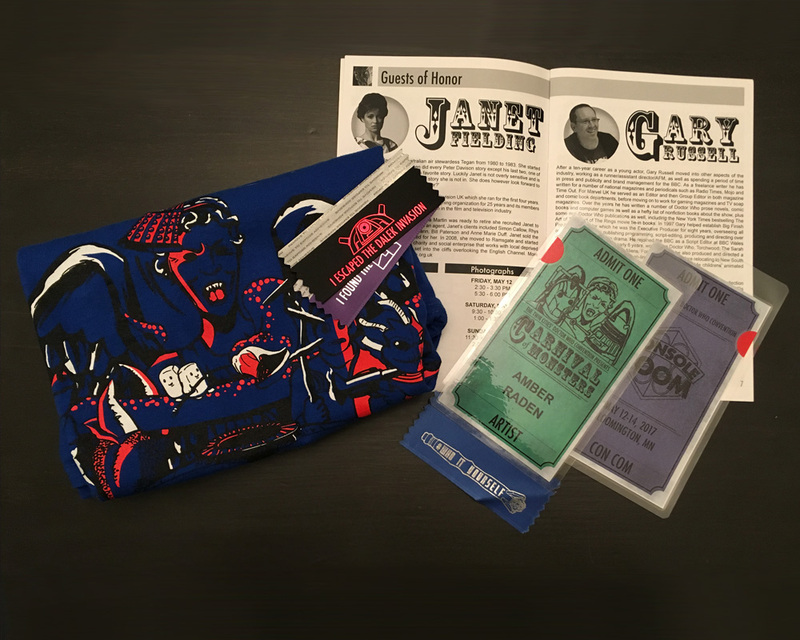 Playing off of the title of a 1973 episode of Doctor Who, the theme “Carnival of Monsters” gave me some freedom, as Co-Head of Publications, to play around with the many monsters present in the TV show. I wanted to make sure to capture some of the fun of the convention in the t-shirt illustration, and I thought this theme the perfect theme to play with. 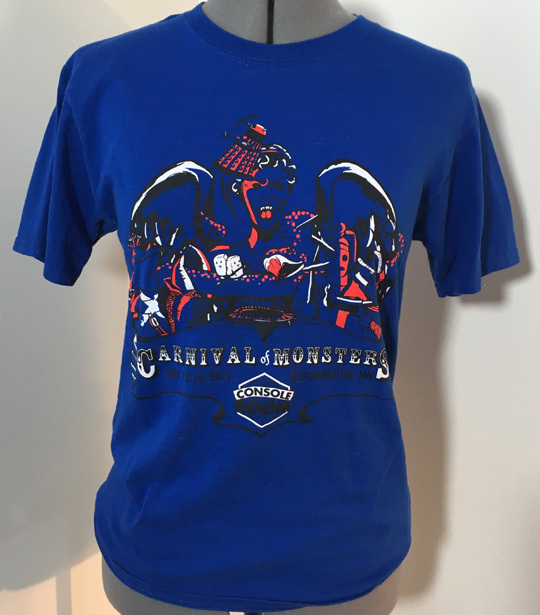 I used eight different monsters featured in the TV show, some old and some new, performing a myriad of carnival acts, though quite poorly as I imagine they would if they truly tried to work together in such a way. My goal was to capture the sometimes silliness of the TV show, even with the monsters, and the fun and excitement of the convention in one image. 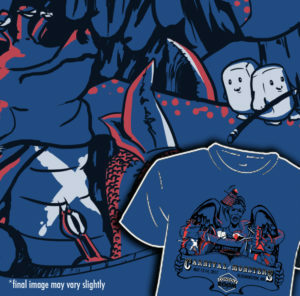 The image was drawn in Adobe Photoshop and screen printed in three colors on a royal blue t-shirt.